This is an Agreement (“Agreement”) between Karomi Inc, herein (“Karomi”), having an office and place of business at 5 Independence Way, Princeton, NJ 08540, USA, and the entity agreeing to the terms herein (“Participant”, “You”, “you” or “Customer”). By using or accessing any part of the Service, You agree that you have read, understand, and agree to be bound by all of these terms and conditions. If you do not agree to all of these terms and conditions, you must not use or access the Service. If you are entering into this Agreement on behalf of a company, you represent that you have the authority to bind that company to the terms of this Agreement. Karomi provides a software as a web service, also referred to as cloud service, named ManageArtworks (herein after referred as “Service” or “Services”). The Service is offered and provided subject to the terms and conditions of this Agreement. The Customer shall connect to the Service using any Internet browser or mobile application supported by the Service. The Customer is responsible for obtaining access to the Internet and the equipment necessary to access the service. Karomi reserves the right to update and change the Terms of Service from time to time and the updated version will be published on our website at http://manageartworks.com/terms-of-service. Any new features that augment or enhance the current Service, including the release of new tools and resources, shall be subject to this Terms of Service. You may terminate your use of the Services if the Terms are modified in a manner that substantially affects your rights in connection with use of the Services. Your continued use of the Service after any such changes shall constitute your consent to such changes. You can review the most current version of the Terms of Service at any time at https://manageartworks.com/terms-of-service. 1. You are responsible for maintaining the security of your account and password. Karomi cannot and will not be liable for any loss or damage from your failure to comply with this security obligation. 2. You are responsible for all content posted and activity that occurs under your account (even when content is posted by others who have their own logins under your account). 3. You may not use the Service for any illegal purpose or to violate any laws in your jurisdiction (including but not limited to copyright laws). 4. You must provide your legal full name, a valid email address, and any other information requested in order to complete the signup process. 5. Your login may only be used by one person – a single login shared by multiple people is not permitted. You may create separate logins for as many people as you’d like. 6. You must be a human. Accounts registered by “bots” or other automated methods are not permitted. In addition to all other terms and conditions of this Agreement, you shall not: (i) transfer or otherwise make available to any third party the Services; (ii) provide any service based on the Services without prior written permission; (iii) use the Services for spamming and other illegal purposes; or (iv) reverse engineer or access the Service in order to (a) build a competitive product or service, (b) build a product using similar ideas, features, functions or graphics of the Service, or (c) copy any ideas, features, functions or graphics of the Service. 1. A free trial is offered on a case-to-case basis without the need for a credit card. 2. To continue using the Services after the free trial period, you must begin a paid subscription which requires a valid credit card. Enterprise customers may request a paper contract that includes alternate billing arrangements including Purchase Orders. 3. The Service is billed on a monthly and/or annual basis. In both cases, the amount billed is non-refundable. There will be no refunds or credits for partial months of service. 4. Information on the subscription options and charges for all paid Services is available by contacting sales@manageartworks.com. 5. Karomi reserves the right to change the subscription fee from time to time. 6. In case of non-payment for any reason or any violation of these terms, Karomi shall be entitled – without liability – to immediately bar Customer’s access to the Service. 7. All fees are exclusive of all taxes, levies, or duties imposed by taxing authorities, and you shall be responsible for payment of all such taxes, levies, or duties, excluding only United States (federal or state) taxes. Where required, Karomi will collect those taxes on behalf of taxing authority and remit those taxes to taxing authorities. 1. You are solely responsible for properly canceling your account. An email request to cancel your account should be sent to support@manageartworks.com. and the request will be processed. 2. All of your content will be inaccessible from the Service immediately upon cancellation. Within 30 days, your content will be permanently deleted from all backups and logs. This information cannot be recovered once it has been permanently deleted. 3. If you cancel the Service before the end of your current paid up month, your cancellation will take effect immediately, and you will not be charged again. But there will not be any prorating of unused time in the last billing cycle. 4. Karomi, in its sole discretion, has the right to suspend or terminate your account and refuse any and all current or future use of the Service for any reason at any time. Such termination of the Service will result in the deactivation or deletion of your Account or your access to your Account, and the forfeiture and relinquishment of all content in your account. Karomi reserves the right to refuse service to anyone for any reason at any time. 1. Karomi does not own any Customer Data. Customer shall have sole responsibility for the accuracy, quality, integrity, legality, reliability, appropriateness, and intellectual property ownership or right to use any and all Customer Data. 2. All content posted on the Service must comply with U.S. copyright law. 3. We claim no intellectual property rights over the material you provide to the Service. All materials uploaded remain yours. 4. The Company does not pre-screen content, but reserves the right (but not the obligation) in their sole discretion to refuse or remove any content that is available via the Service. 7. You hereby consent that, Karomi may identify you as customer of the service (using your name and logo) and generally describe the products or services it provides to you in its promotional materials, presentations, press releases and proposals to other current and prospective customers. 8. If a Customer does not renew the subscription for the Service, Karomi shall provide all Customer Data on explicit written request from the customer in a generally accessible format within 30 days after the end of such term and thereafter may delete the customer account and all of the Customer Data. Please note that some information like billing and subscription may remain with us for accounting and legal reasons. Additionally, Customer Data may remain with us for the period of 90 days on our replication servers and/or high availability servers, beyond which it is completely deleted. Confidential Information of the Customer shall mean all business and technological information of Customer and shall include the Customer Data. Confidential Information of Karomi shall mean the Services other than the Customer Data. Confidential Information shall not include any information which is in the public domain (other than through a breach of this agreement), which is independently developed by the recipient or which is received by a third party not under restriction. The recipient will not disclose the Confidential Information, except to affiliates, employees, agents, professional advisors or third party vendors who participate in the provision of the Services hereunder who need to know it and who have agreed to keep it confidential. The recipient will ensure that those people and entities use the received Confidential Information only to exercise rights and fulfill obligations under this Agreement, while using reasonable care to keep it confidential. The recipient may also disclose Confidential Information to the extent required by an order of a government entity of appropriate jurisdiction; provided that the recipient uses commercially reasonable efforts to promptly notify the other party of such disclosure before complying with such order. 1. Access to the Service is only available to the Customer and the Users to whom the Customer grants access, subject to the Customer making the applicable payments for the Service under this Agreement. 2. Usernames and passwords are personal, and are to be considered part of Confidential Information of Customer. The Customer is at all times fully liable for all acts and omissions by Users whom the Customer has granted access and agrees to indemnify Karomi for all claims and losses related to such acts and omissions. 3. Customer may not use the Service for any illegal or unauthorized purpose. Customer must not, in the use of the Service, violate any laws in customer jurisdiction (including but not limited to copyright laws). 4. Karomi may make updates to the Service from time to time as per market demands. 5. Customer is responsible for all taxes and Customer will pay Karomi for the Services without any reduction for taxes. If Karomi is obligated to collect or pay taxes, the taxes will be invoiced to Customer. 6. Except as expressly set forth herein, this Agreement does not grant either party any rights, implied or otherwise, to the other’s content or any of the other’s intellectual property. As between the parties, Customer owns all Intellectual Property Rights in Customer Data and Karomi owns all Intellectual Property Rights in the Service. 7. When the Customer pays Karomi via bank transfer, the necessary bank transfer charges should be borne by the Customer. For avoidance of doubt, the total license fee payable should be credited to our account without any deductions. 8. Your use of the Service is at your sole risk. The service is provided on an “as is” and “as available” basis. 9. Technical support is only provided via email. 10. You understand that Karomi uses third party vendors and hosting partners to provide the necessary hardware, software, networking, storage, and related technology required to run the Service. 11. You must not modify, adapt or hack the Service. 12. You must not modify another website so as to falsely imply that it is associated with the Service or the Company. 13. You agree not to reproduce, duplicate, copy, sell, resell or exploit any portion of the Service, use of the Service, or access to the Service without the express written permission by the Company. 14. We may, but have no obligation to, remove content and accounts that we determine in our sole discretion are unlawful or violates any party’s intellectual property or these Terms of Service. 15. Verbal, physical, written or other abuse (including threats of abuse or retribution) of any Service customer, Karomi employee or officer will result in immediate account termination. 16. You understand that the technical processing and transmission of the Service, including your content, may be transferred unencrypted and involve (a) transmissions over various networks; and (b) changes to conform and adapt to technical requirements of connecting networks or devices. 17. We reserve the right to temporarily disable your account if your usage significantly exceeds the average usage of other Service customers. Of course, we’ll reach out to the account owner before taking any action except in rare cases where the level of use may negatively impact the performance of the Service for other customers. 18. Karomi does not warrant that (i) the service will meet your specific requirements, (ii) the service will be uninterrupted, timely, secure, or error-free, (iii) the results that may be obtained from the use of the service will be accurate or reliable, (iv) the quality of any products, services, information, or other material purchased or obtained by you through the service will meet your expectations, and (v) any errors in the Service will be corrected. 19. You expressly understand and agree that Karomi shall not be liable for any direct, indirect, incidental, special, consequential or exemplary damages, including but not limited to, damages for loss of profits, goodwill, use, data or other intangible losses (even if the Company has been advised of the possibility of such damages), resulting from: (i) the use or the inability to use the service; (ii) the cost of procurement of substitute goods and services resulting from any goods, data, information or services purchased or obtained or messages received or transactions entered into through or from the service; (iii) unauthorized access to or alteration of your transmissions or data; (iv) statements or conduct of any third party on the service; (v) or any other matter relating to the service. 20. The failure of Karomi to exercise or enforce any right or provision of the Terms of Service shall not constitute a waiver of such right or provision. 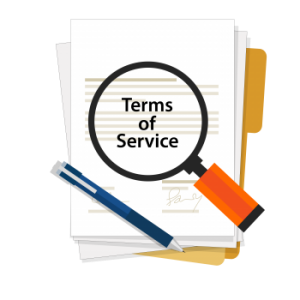 The Terms of Service constitutes the entire agreement between you and the Company and govern your use of the Service, superseding any prior agreements between you and Karomi (including, but not limited to, any prior versions of the Terms of Service). 21. Questions about the Terms of Service should be sent to support@manageartworks.com. 1. Karomi agrees to defend, indemnify, and hold harmless Customer, its Affiliates, and their respective, officers, directors, employees, agents, representatives and contractors from and against any claims, actions, demands, liabilities and expenses, including, without limitation, damages, other monetary relief, expert fees, costs and reasonable legal fees, alleging or resulting from any claim that the Services infringe upon the intellectual property rights of whatever type or form of any third party. 2. Karomi is not responsible for any delays, delivery failures, or other damage resulting from limitations, delays, and other problems inherent in the use of the Customer provided internet and electronic communications. 3. Except as otherwise provided herein, the Service is provided on an “AS IS” basis, without warranties of any kind, either express or implied, including, without limitation, implied warranties of title, merchantability, fitness for a particular purpose or non-infringement. 4. Karomi takes reasonable care for virus protection and other harmful components; however given the nature of virus evolution, Karomi makes no warranty that the service will be free of viruses or other harmful components. 3. The results of using the Service will meet Customer requirements. At Karomi, we respect our customers and users need for online privacy and protect any personal information that may be shared with us, in an appropriate manner. Karomi’s practice as regards use of customer personal information is as set forth below. The following provisions are in addition to the confidentiality provisions set forth herein. In the event of a conflict between the provisions of this section and the confidentiality provision, the confidentiality provisions shall prevail. Information we get from customer use of our service. Information we get from customer use of our service. Karomi may collect information about the service that customer use and how customer use them, like when customer visit the application or when customer used a specific feature. Our logging system automatically collects information like the internet protocol address, browser type, browser language, referring URL, features accessed, errors generated, time zone, operating system information and other such information that is transmitted in the header of the user’s HTTP request and stores in log files. Karomi use these log files to analyze trends, administer and improve the application. Karomi don’t collect or store application or user specific data as part of logs. Karomi use the information for the following general purposes: service provisioning, billing, identification and authorization, service improvement, and research. When the Customer contacts Karomi, we may keep a record of customer communication to help solve any issues customer might be facing. 3. Security of customer data Karomi adopt industry appropriate data collection, storage and processing practices and security measures to protect against unauthorized access, alteration, disclosure or destruction of customer personal information and data stored in customer user account. Karomi shall ensure that it receives similar commitments from its vendors used to provide the Services hereunder. Karomi will provide notification to Customer as soon as reasonably practical after a breach of such security which may impact Customer Data. Access to customer name and email address is restricted to our employees who need to know such information in connection with providing Karomi service to customer and are bound by confidentiality obligations. Karomi does not sell the personally identifiable information customer provide for financial gain nor does Karomi share such information with third parties for the purpose of sending customer advertisements for products or service unaffiliated with Karomi.